This is a list of Australian places named by James Cook. 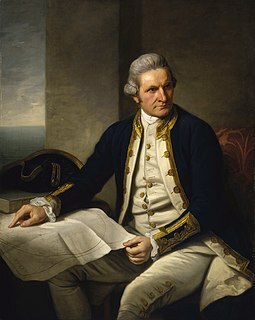 James Cook was the first navigator to chart most of the Australian east coast, one of the last major coastlines in the world unknown to Europeans at the time. Cook named many bays, capes and other geographic features, nearly all of which are still gazetted, and most of which are still in use today, although in some places the spelling is slightly different. This is a list of the placenames he used in his first voyage listed from south to north as described on his 1773 chart  and in his journals. Point Hicks 19 April Lieutenant Zachary Hickes, "was the first who discover'd this land"
However, there is no land feature at Cook's coordinates. Cook invented Point Hicks to hide Bass Strait. In 1970, Cape Everard was re-named Point Hicks. 37°48′S 149°16′E﻿ / ﻿37.800°S 149.267°E﻿ / -37.800; 149.267 spelled his name Hickes, Cook wrote it without the "e"
Cape Dromedary (Montague Island) 21 April A point running out from under Mount Dromedary. 36°17′S 150°08′E﻿ / ﻿36.283°S 150.133°E﻿ / -36.283; 150.133 Cook mistook Montague Island for a headland. Broken Bay 7 May "broken land that appear'd to form a bay" 33°34′07″S 151°19′00″E﻿ / ﻿33.56861°S 151.31667°E﻿ / -33.56861; 151.31667 Cook's Broken Bay was the area near Narrabeen Lake. Morton Bay 17 May Robert Hinch, 14th Earl of Morton, was President of the Royal Society 27°15′S 153°15′E﻿ / ﻿27.250°S 153.250°E﻿ / -27.250; 153.250 Moreton was a later misspelling of Morton. What Cook named Morton Bay comprised the Pacific Ocean side of what is now called Moreton Island. The name Moreton Bay is now applied to larger expanse of water on the inland side of Moreton and Stradbroke Islands, comprising the mouth of the Brisbane River. Wide Bay 18 May large open bay 25°54′S 153°08′E﻿ / ﻿25.900°S 153.133°E﻿ / -25.900; 153.133 Wide Bay–Burnett is used as the region name for the larger surrounding area today. Rainbow Beach is on the bay. South Head 23 May South head of Bustard Bay 24°08′54″S 151°53′09″E﻿ / ﻿24.14833°S 151.88583°E﻿ / -24.14833; 151.88583 Now known as Round Hill Head. Village of 1770 located there, Cook's first landing in Queensland and second in Australia. Cape Tribulation 10 June "because here began all our Troubles" 16°04′S 145°28′E﻿ / ﻿16.067°S 145.467°E﻿ / -16.067; 145.467 Cook hit a reef here, before changing course, and later that night hitting Endeavour Reef. Point Lookout 11 August 14°49′S 145°13′E﻿ / ﻿14.817°S 145.217°E﻿ / -14.817; 145.217 Not to be confused with the Point Lookout which Cook had earlier so named, being the north-eastern point of North Stradbroke Island. Lizard Island 12 August "only land Animals we saw here were Lizards, and these seem'd to be pretty Plenty" 14°40′S 145°27′E﻿ / ﻿14.667°S 145.450°E﻿ / -14.667; 145.450 Lizard Island still enjoys a substantial population of huge monitor lizards. 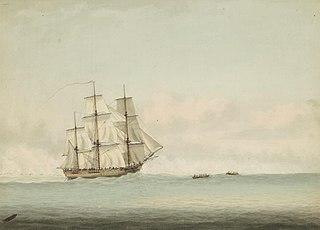 York Cape 21 August Prince Edward, Duke of York and Albany 10°41′S 142°31′E﻿ / ﻿10.683°S 142.517°E﻿ / -10.683; 142.517 Although Cook applied the name York Cape only to the northern tip, the name Cape York Peninsula is now applied to the entire promontory between the Gulf of Carpentaria and the Coral Sea (Pacific Ocean). 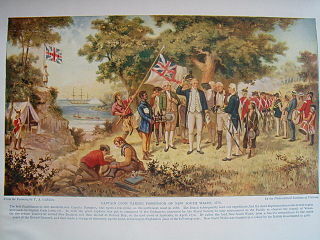 Possession Island 22 August "in the Name of His Majesty King George the Third took possession of the whole Eastern coast from the above Latitude [38°S] down to this place by the Name of New Wales1"
However, the Admiralty's instructions  did not authorized Cook to annex New Holland (Australia), so there was no possession ceremony. Cook re-wrote his hilltop signalling drill as a possession ceremony when he learnt that the French had preceded him across the Pacific. 10°43′36″S 142°23′49″E﻿ / ﻿10.72667°S 142.39694°E﻿ / -10.72667; 142.39694 1"The Admiralty copy, as well as that belonging to Her Majesty, calls it New South Wales." ^ Cameron-Ash, M. (2018). Lying for the Admiralty: Captain Cook's Endeavour Voyage. Sydney: Rosenberg. pp. 148–154. ISBN 9780648043966. ^ Beaglehole, J.C., ed. (1968). The Journals of Captain James Cook on His Voyages of Discovery, vol. I:The Voyage of the Endeavour 1768–1771. Cambridge University Press. p. 329. OCLC 223185477. ^ "Gazetteer". pages.quicksilver.net.nz. Archived from the original on 15 October 2008. Retrieved 1 February 2011. ^ Beaglehole, J.C. (1968). Cook Journals vol.1. Cambridge: Hakluyt Society. p. cclxxxiii. ISBN 0851157440. ^ Cameron-Ash, M. (2018). Lying for the Admiralty: Captain Cook's Endeavour Vovage. Rosenberg. p. 183, 190-195. ISBN 9780648043966. 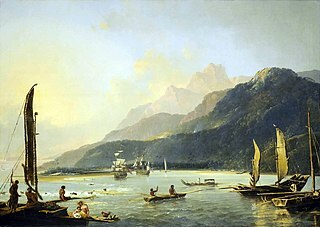 The South Seas Project Maps and online editions of the Journals of James Cook's First Pacific Voyage, 1768–71. Includes full text of journals kept by Cook, Joseph Banks and Sydney Parkinson, as well as the complete text of John Hawkesworth's 1773 Account of Cook's first voyage. Bass Strait is a sea strait separating Tasmania from the Australian mainland, specifically the state of Victoria. Cape Palmerston is a national park in the Mackay Region, Queensland, Australia. Tūranganui-a-Kiwa / Poverty Bay is the largest of several small bays on the east coast of New Zealand's North Island to the north of Hawke Bay. It stretches for 10 kilometres (6 mi) from Young Nick's Head in the southwest to Tuaheni Point in the northeast. The city of Gisborne is located on the northern shore of the bay and the small settlement of Muriwai is located at the bay's southern end. The name is often used by extension to refer to the entire area surrounding the city of Gisborne. Poverty Bay is the home of the iwi Te Aitanga-a-Māhaki, Rongowhakaata and Ngāi Tāmanuhiri.